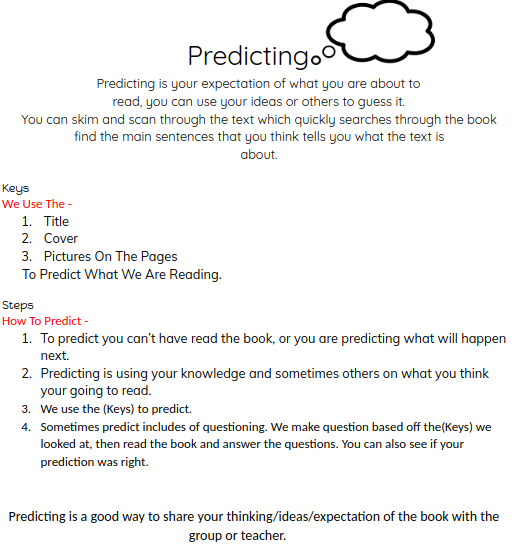 This week for reading we learnt about questioning and predicting by making posters with the rest of our group. 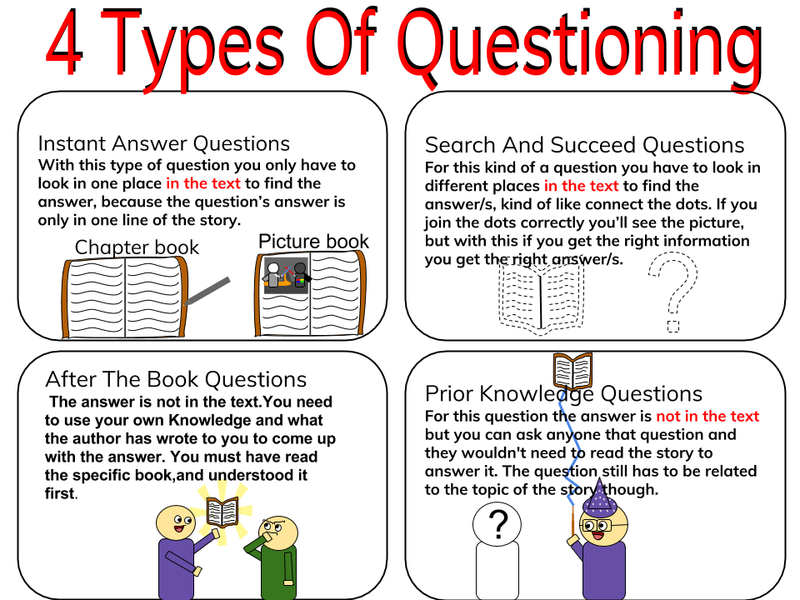 We made in total three posters, one about what questioning is, the other about what predicting is, and finally our own version of the QAR template. 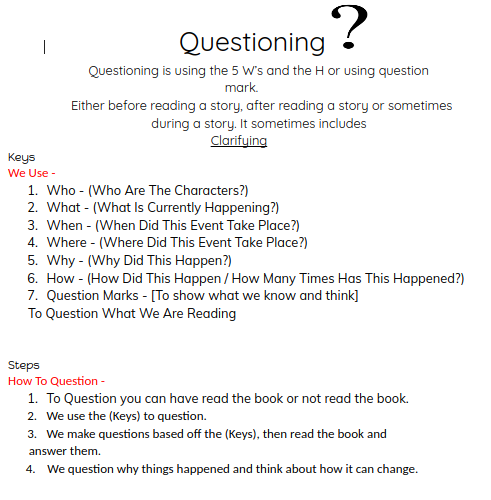 Each poster had to explain what points we were making, and deeper information on how to question, predict, and figure out what the type of questions you are wondering.